Half the battle of using Cubed Chicken is cutting the chicken in cubes. Let’s be honest – no one enjoys cutting up raw meat! I prefer to take a minute when I purchase meat to trim off the fat, cube it, and then freeze it! 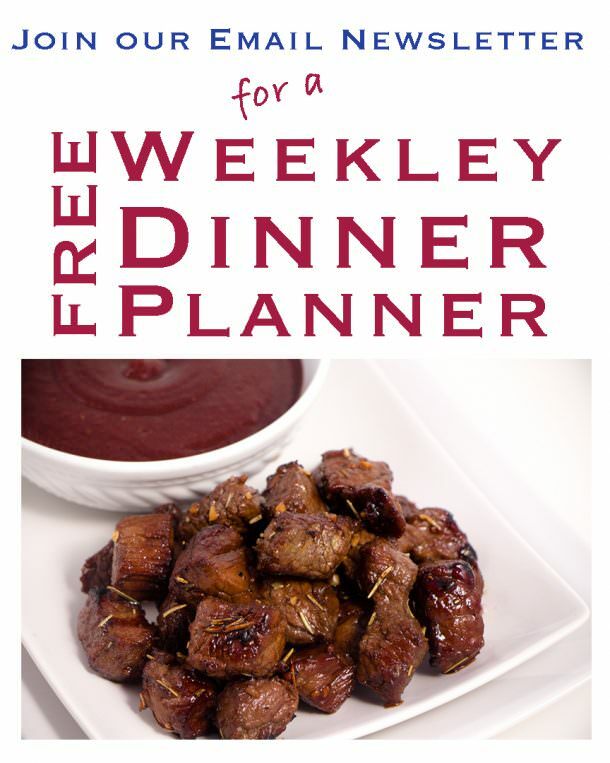 This saves me so much time on those busy weekday nights. This way I can simply pull out the frozen cubed chicken in the morning when I leave for the day and it’s thawed ready to use when I get home. 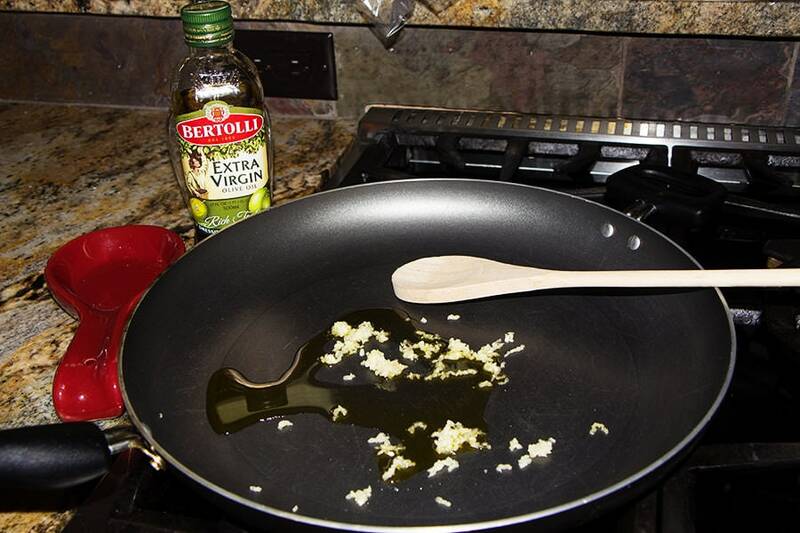 I use my largest frying pan and add some Extra Virgin Olive Oil (or as Rachel Ray like’s to say some EVOO!) to cook it up fast to add to different recipes. 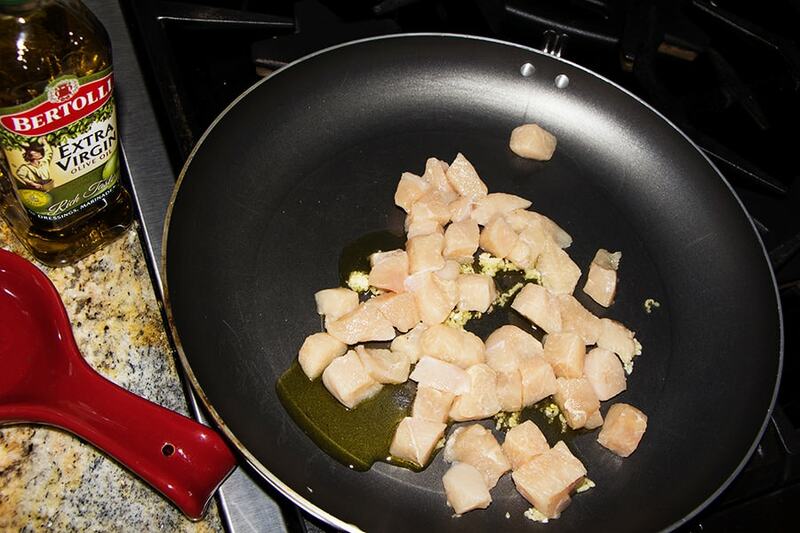 Add the cubed chicken and cook over medium/high heat until all juices run clear. You will need to watch it and stir it so you don’t get hot spots. But it’s really that simple. My family favorite is the Poppy-seed Casserole made with Cubed Chicken. It’s easy to put together when I get home and soon we are at the table eating. 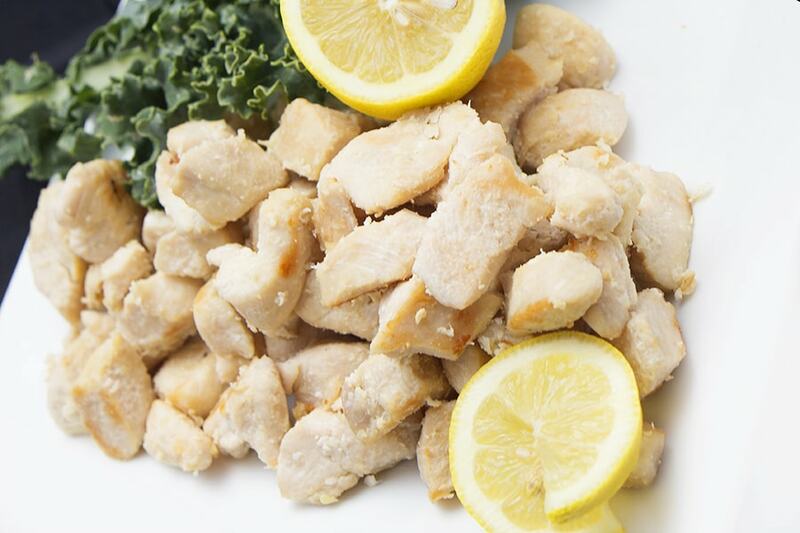 Cubed Chicken as a base Ingredient is so versatile you will even substitute it for shredded chicken when you don’t have time to cook it that long. TIP: If you’re cubing frozen chicken, don’t defrost it entirely. It is so much easier to work with when it’s not flimsy. 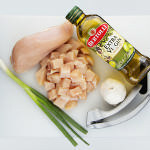 In a large frying pan over medium high heat place cubed chicken, pressed garlic and EVOO. Stir occasionally until all juices run clear. 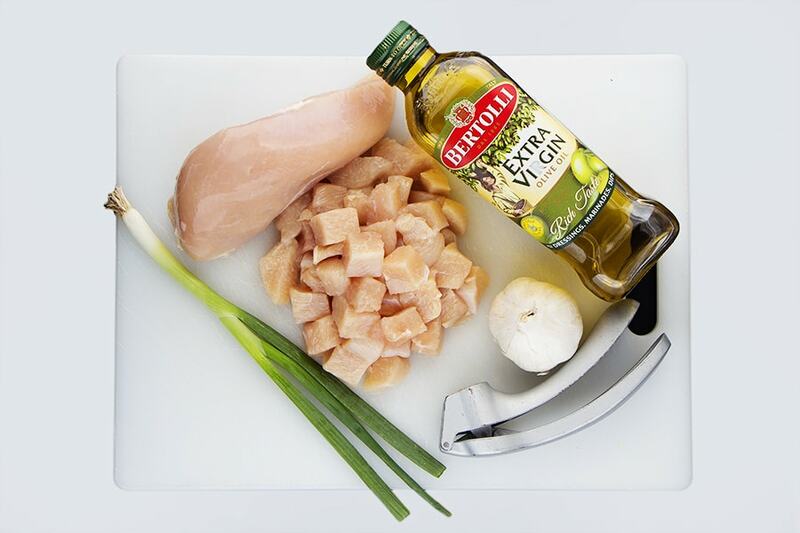 Use cooked cubed chicken in a variety of meals, or freeze for later use.